Excessive smoke from cigarettes, a wood stove, candles or cooking can make for miserable conditions in an enclosed living space. Smoke eaters are expensive, and it's hard to know which product is the best. For those who don't have the budget for a big machine, make a simple one out of a box fan and a furnace filter. You can also make smaller versions and hang them high in corners of a room, where the smoke tends to concentrate. 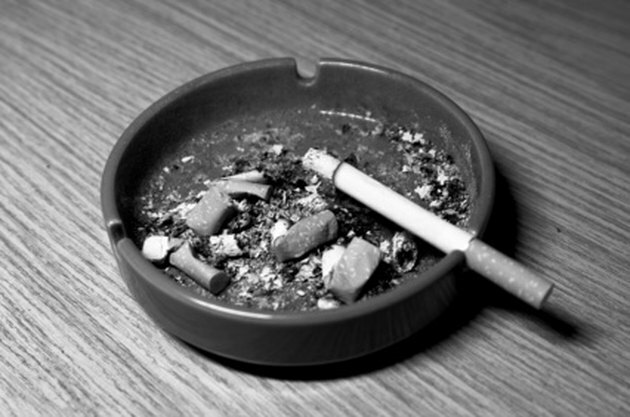 Cigarette smoke is not only a hassle, it's also hazardous. Lay your box fan on the floor with the back of the machine facing you. Position a furnace filter over the back of it. Line up at least two sides carefully. Seal these to the unit with duct tape. Tape the filter snugly to the back of the fan. Don't worry if some excess filter sticks out a bit. Plug in the unit -- turn it on -- and you are filtering your air already. The higher the output setting is, the more air filtration you will be able to generate. Replace the filter when it starts to show signs of discoloration, or when it collects too much soot or dust. 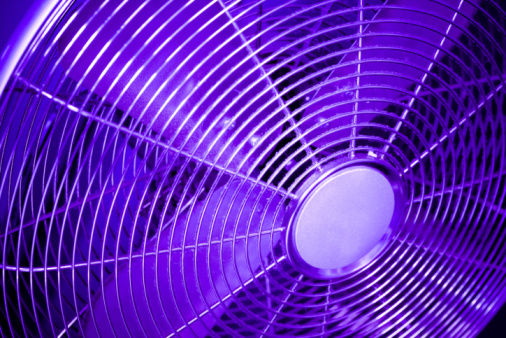 Find smaller filters, or use scissors to cut up large ones, to attach to the back of your smaller fans. If you can mount a few smaller fans in the high corners of a small room, while your box fan is set up in the central area, this will maximize the filtration of the whole room.